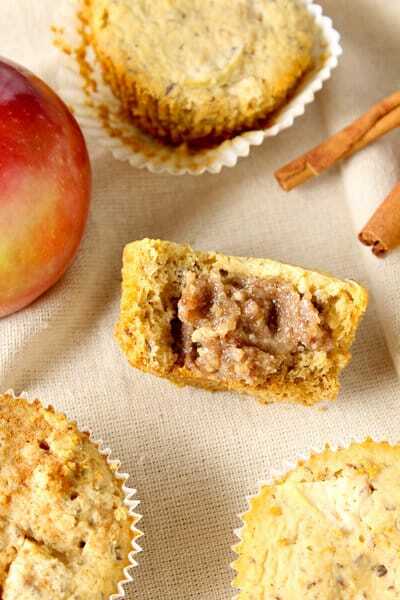 First, you’ve got a springy, slightly cinnamon-y, apple muffin. 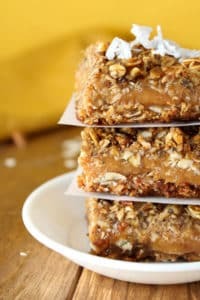 Second, you’ve got a hidden surprise of date “caramel”. And if the filling wasn’t great enough, the fact that it’s safely enclosed inside the muffin makes them easily portable. They’re great to take to work for a snack or pack in the kids’ lunches. And, just like anything else that looks fancy here on the blog (like my chocolate orange marble loaf cake), there is really an easy way to do it! The muffin batter is pretty straight forward. Bowl + dry ingredients + wet ingredients + stir. An apple will have to be chopped up at some point. But, there’s no need to peel it. Even though, I’m not a huge fan of the term “clean” eating because it implies that other types of eating are dirty, and I fully support the “everything in moderation” motto. BUT! Let’s not get side tracked here because I’m the first person to take us on a long and winding journey before getting back to the point I’m trying to make which is…. MUFFINS! 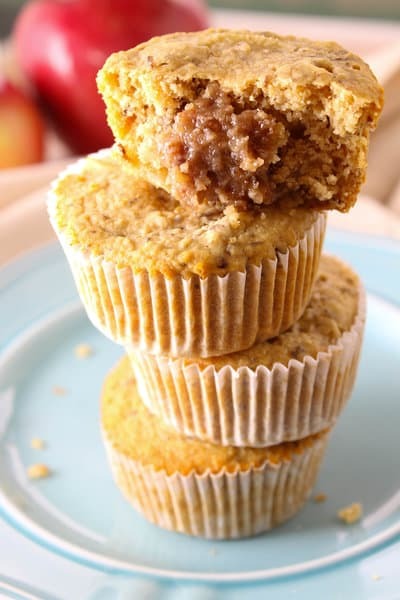 Delicious caramel apple muffins! 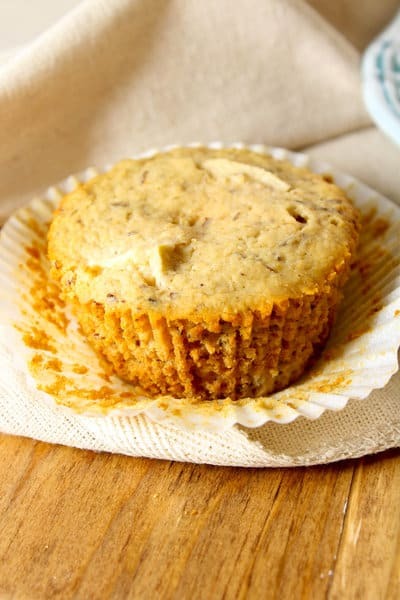 The classic Fall flavors in these muffins would make the perfect finish to your holiday meals, whether it’s Thanksgiving, Friendsgiving, or otherwise. Preheat the oven to 325 F and line a 12 cup muffin tin with paper or silicone liners. Add the water and agave and blend until completely smooth. 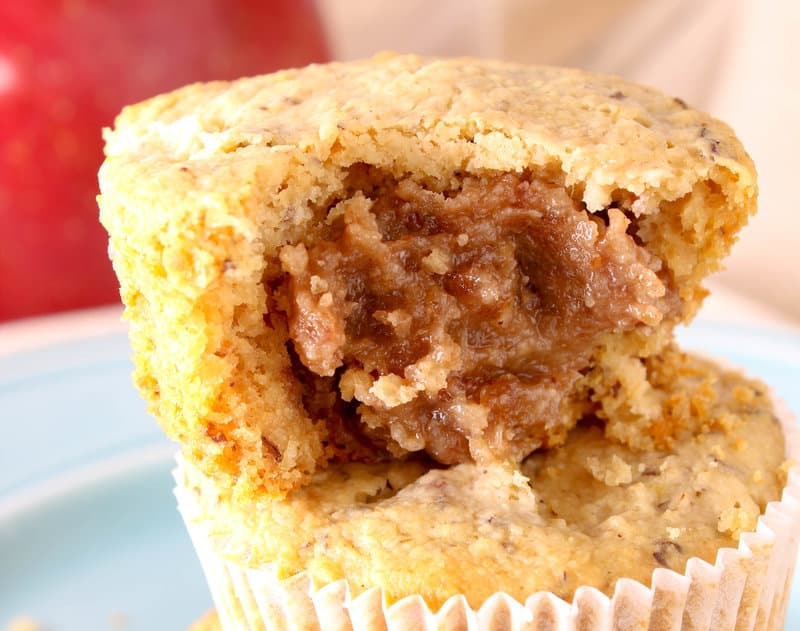 For the muffins: in a small bowl, stir together the flaxseed meal and water and set aside. Chop the apple into small pieces (~1/2" squares). In a large bowl, whisk together the flours, granulated sweetener, cinnamon, baking soda and powder, and salt. 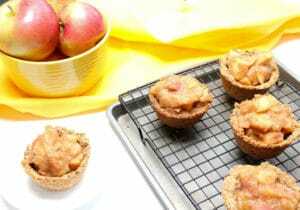 Add the applesauce, oil, molasses, apple cider vinegar, and vanilla extract to the dry ingredients. Stir together until all the dry ingredients are incorporated into the wet. Scoop 1 Tbsp of the muffin batter into each of the prepared muffin liners. 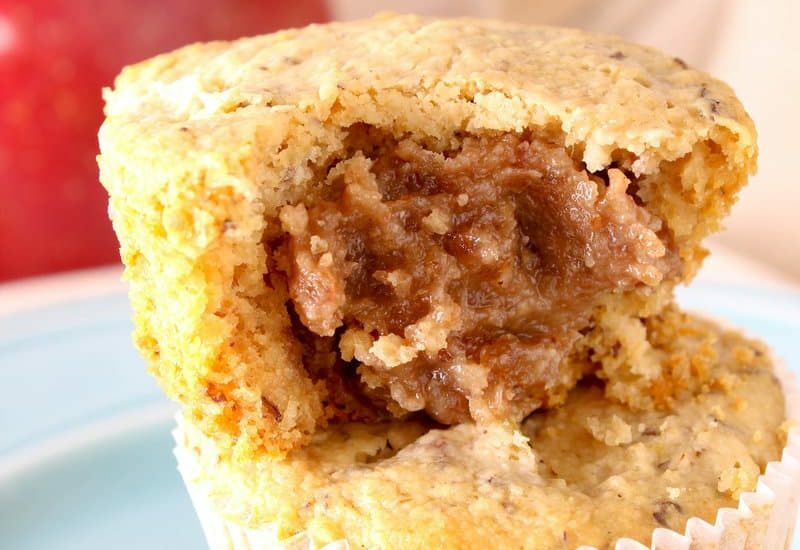 Place 1 tsp of the caramel into the center of the batter in each muffin cup. Top each caramel filled cup with another 1 Tbsp of muffin batter. Bake for 14 min. 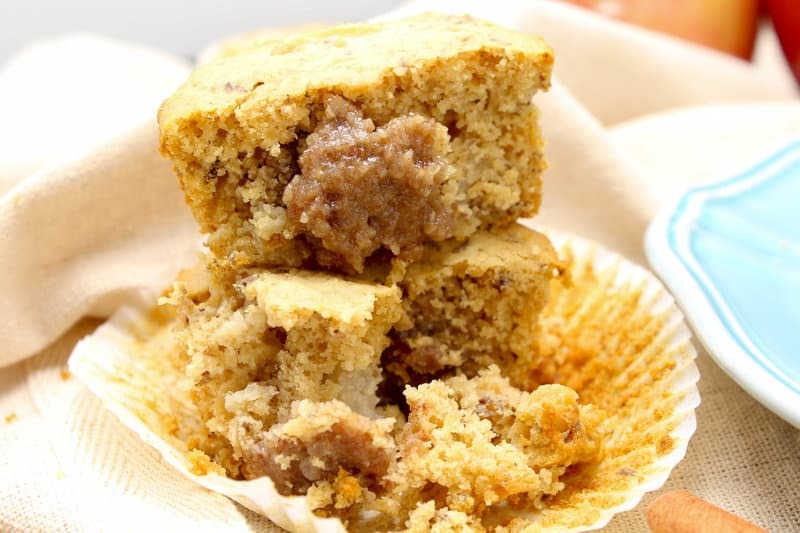 or until the edges of the muffins darken a bit and a toothpick inserted into the muffin batter comes out with a little bit of wet dough on it, but no crumbs. Allow the muffins to cool in the tine for about 10-15 min. then transfer them to a wire rack. Let the muffins cool completely, or dive in while they're still a little warm and heavenly!